Spinifex est une maison d’édition indépendante féministe qui publie des ouvrages innovants, voire polémiques, avec un côté optimiste. Le spinifex est une plante du désert australien très utile à la consolidation des sols. Spinifex publie à la fois des ouvrages de sciences humaines et sociales sur l’écologie, le développement, les droits de l’homme et des indigènes, et des livres de fiction et de poésie. Spinifex est par ailleurs à l’avant-garde de l’édition numérique ; ainsi nombre de ses titres sont disponibles sous le format eBook. 1987. The Philippine government fights a total war against insurgency. The village of Iraya is militarised. The days are violent and the nights heavy with fireflies in the river where the dead are dumped. 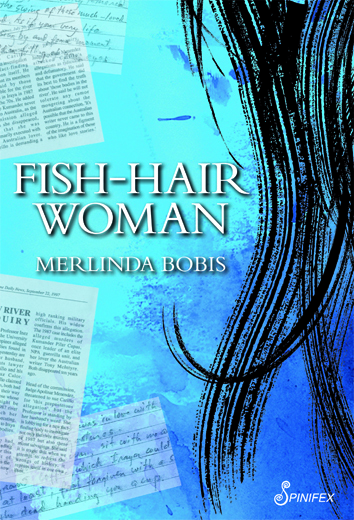 With her twelve-metre hair, Estrella, the Fish-Hair Woman, trawls corpses from the water that tastes of lemon grass. She falls in love with the Australian Tony McIntyre who disappears in the conflict. Ten years later, his son travels to Manila to find his father. How much can the heart accommodate ? Death and love, an enemy and a sweetheart, war and an impassioned serenade, and more. Only four chambers but with infinite space like memory, where there is room even for those whom we do not love. Published by Spinifex, co-edition with Anvil Press, Philippines ; Translation into Spanish by JC Sáez Editor, Chile (2017). Jewellery designer, Maisoon, wants an ordinary extraordinary life, which isn’t easy for a tradition-defying, activist, Palestinian citizen of Israel, who refuses to be crushed by the feeling that she is an unwelcome guest in the land of her ancestors. Frustrated by the apathy of her boyfriend Ziyad and her father Majid—who want her to get on with her life and forget those in the Occupied Territories—she lashes out, only to discover her father isn’t the man she thought he was. Raised a Christian, in a relationship with a Muslim man and enamoured with a Palestinian woman from the Occupied Territories, Maisoon must decide her own path. 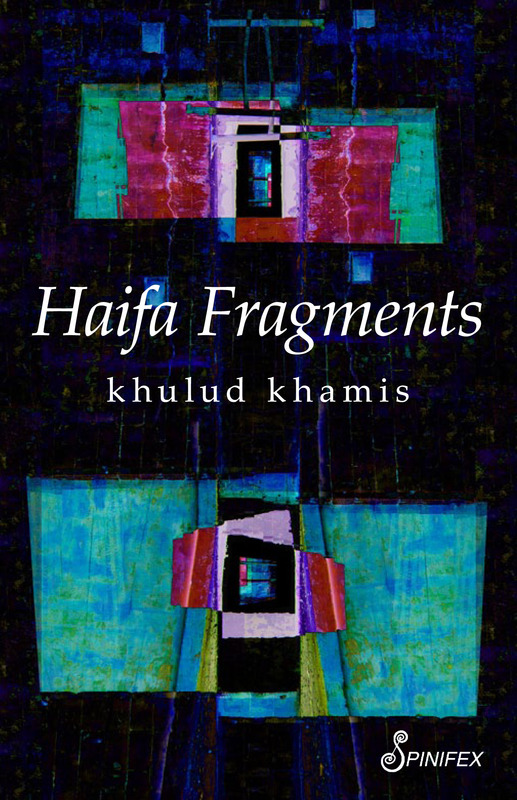 khulud khamis unpacks the multiple layers of culture, religion, sexuality, politics, feminism and nationalism in the hope of gathering the fragmented pieces of the past and reclaiming the lost contiguity of being Palestinian. khulud khamis is a Palestinian feminist writer, born to a Slovak mother and a Palestinian father. She holds a Master’s degree in English Literature from the University of Haifa and works in the field of social change organizations. She is a member of the feminist organization Isha L’Isha – Haifa Feminist Center. She lives in Haifa with her daughter. This is her first novel. Published by Spinifex Press ; co-edition with New Internationalist UK ; Italian translation FILA37 (2015) ; Turkish translation Gulduniya (2017). In a globalised world, megacorp publishing is all about numbers, about sameness, about following a formula based on the latest megasuccess. Each book is expected to pay for itself and all the externalities of publishing such as offices and CEO salaries. It means that books which take off slowly but have long lives, the books that change social norms, are less likely to be published. Independent publishers are seeking another way. A way of engagement with society and methods that reflect something important about the locale or the niche they inhabit. Independent and small publishers are like rare plants that pop up among the larger growth but add something different, perhaps they feed the soil, bring colour or scent into the world. Bibliodiversity is a term invented by Chilean publishers in the 1990s as a way of envisioning a different kind of publishing. 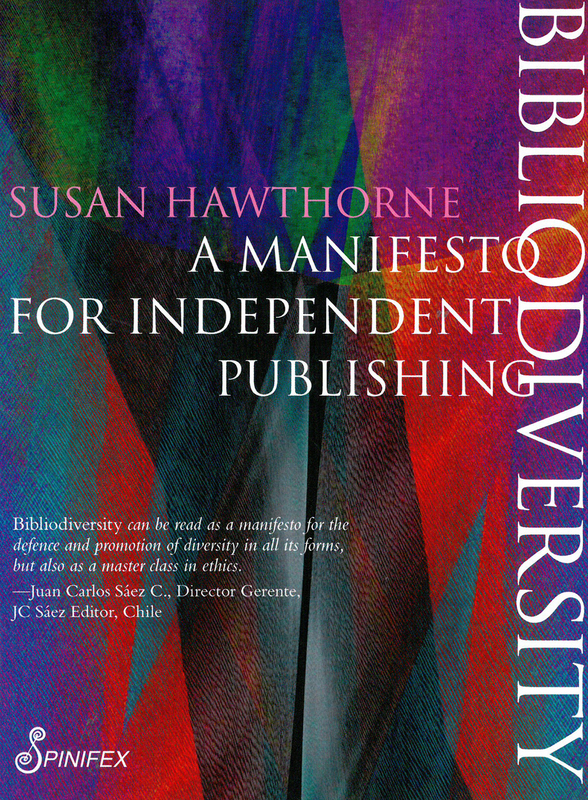 In this manifesto, Susan Hawthorne provides a scathing critique of the global publishing industry set against a visionary proposal for organic publishing. She looks at free speech and fair speech, at the environmental costs of mainstream publishing and at the promises and challenges of the move to digital. Susan Hawthorne has worked in the book industry for more than 30 years as a writer, festival organiser, reviewer, editor, publisher and mentor. In 1991, she co-founded Spinifex Press with Renate Klein, after working for Penguin Australia for four years. She has written extensively about the industry, co-organised digital training for small and large publishers, taught Publishing Studies and Creative Writing, and has been an active member of peak bodies for publishers and writers. From 2011 to 2016, she was the English-language Coordinator for the International Alliance of Independent Publishers based in Paris. She is Adjunct Professor in the Writing Program at James Cook University and Publisher at Spinifex Press. Rights : World. Published by Spinifex Press ; Canadian rights sold to Fernwood Publishing ; Translations into Arabic : December 2015, Tunisia, Éditions Med Ali, Arabic ; Syria, Atlas Publishing, Arabic ; Egypt, Elain Publishing, Arabic ; Lebanon, Dar-Alfarabi and Arab Diffusion. French, 2016 : France, Éditions Charles Léopold Mayer ; Switzerland, éditions d’en bas ; Benin, Éditions Ruisseaux d’Afrique ; Mali, Éditions Jamana ; Cameroun, Presses universitaires d’Afrique ; Spanish, 2017 : Chile, JC Sáez ; Mexico, Trilce Ediciones ; Uruguay : Ediciones Trilce ; also publishers in Colombia, Argentina, Peru, Bolivia. German, 2017, Verbrecher Verlag.